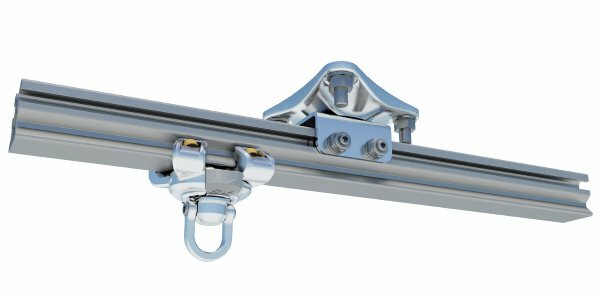 The XRail system is a rigid horizontal rail system, combined with a runner, which allows users to safely work on heights. 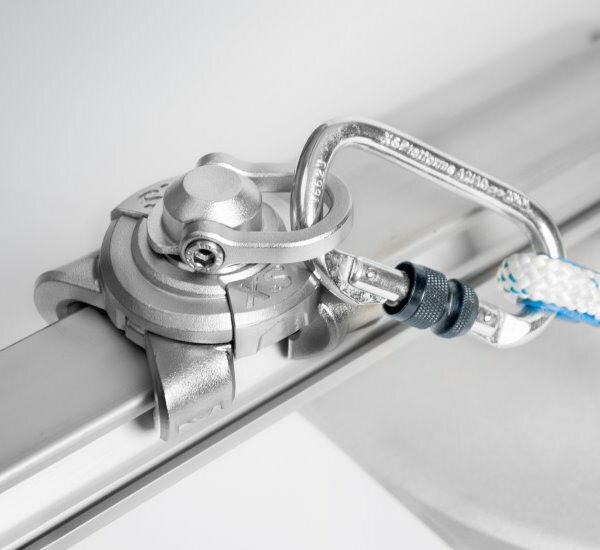 The functionality of the XSRail system can be compared with a horizontal lifeline. Both systems have their own features and advantages. The advantage of a rail system over a lifeline system is that rail has less deflection when a fall occurs. Because of this, the fall distance is shorter than with a lifeline system. 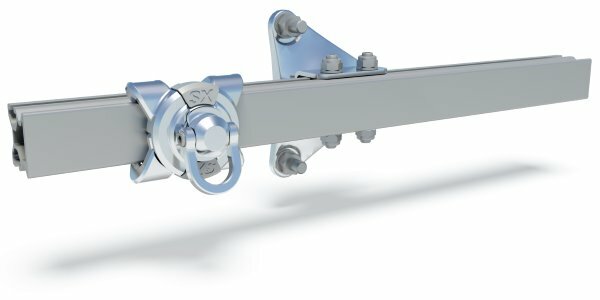 So, for projects and situations where limited fall clearance is available, an XSRail system will be the best solution. Especially when using an automatic fall arrest device the user will be arrested almost immediately if a fall occurs. 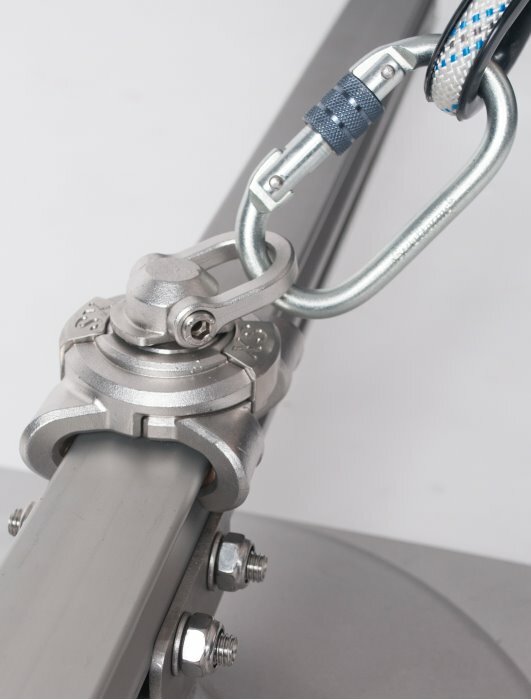 Easy installation; the XSRail can be installed with an Allen Key and a socket wrench. EN/TS 16415:2013 type D – Personal fall protection equipment – Anchor devices – Recommendations for anchor devices for use by more than one person simultaneously. 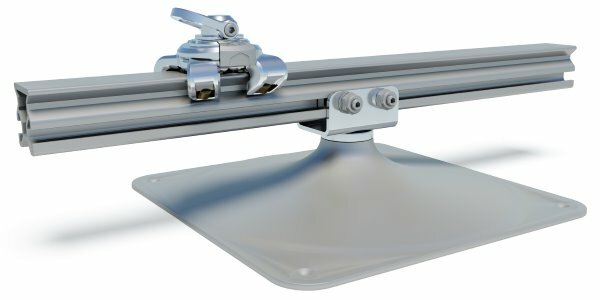 Our range of horizontal XSRail systems are suitable for installation on (flat/low sloped) concrete roofs, walls and ceilings of (rigid) overhead structures. Also this system can be mounted on ceilings or be incorporated in rigid overhead structures, such as steel I-beams. Like most XSPlatforms fall protections systems the XSRail system is built up out of modular components. Meaning that several products can be used for all three types of installation: roof, wall and overhead.